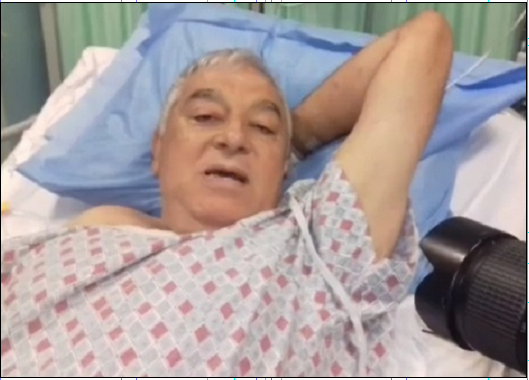 KANDAHAR: The Governor of southern Kandahar Zalmai Wesa in a video message termed his health condition stable and added he would be discharged from the hospital soon. Wesa sustained wounds in a gun fire on Thursday after a high level security meeting at the governor’s house, where NATO and US forces top commander in Afghanistan Gen. Scott Miller was also present but he escaped unhurt. Kandahar Police Chief, Gen. Abdul Raziq and provincial National Directorate of Security (NDS) chief, Abdul Momin Hussainkhel were martyred in the firing while some other people including Zalmai Wesa were wounded. Some media outlets and social media users published reports that Kandahar governor, Zalmai Wesa was also killed in the attack on Kandahar police chief, Gen. Abdul Raziq, late on Thursday. Wesa rejected rumors regarding his death in a video message and said he was in stable condition and would be discharged from hospital in three days.